Having a digital presence is important for all job seekers, and a strong LinkedIn presence can boost the performance of your resume. While LinkedIn has yet to replace the resume as the standard job search marketing tool, having a professional profile is a key element of your personal brand portfolio. Are hiring managers really using it to recruit candidates in my industry? Can’t I just copy and paste my resume into my profile? What’s the difference? I’m a private person – how can I avoid publicizing my information online? The biggest mistake I see job seekers making is having either no presence at all, or a “bare bones” profile that lists no discernable information other than job titles and employment dates. If you’re concerned about tipping off your current employer, there are many different options for controlling the information in your LinkedIn profile that is available to the general public. LinkedIn is meant to complement your resume. Providing a high-level overview of who you are, what you’ve done, and value you bring to the table will help you stand out to employers and hiring managers. If you don’t have a LinkedIn profile, set aside 30 minutes during your lunch break and make it your top priority. If you have a profile but have neglected it in recent months (or years), take time to update it and make it great with a proper bio, job descriptions, relevant employment information, education, and skill sets. With over 250 million active members and more than 15 million active job postings, upwards of 95% of recruiters and hiring managers are using LinkedIn to source qualified candidates. The platform remains one of the most highly utilized hiring and recruiting resources in the world, while offering a host of other valuable job seeker tools and benefits. Having a polished, professional, and updated LinkedIn profile is the best way to boost your visibility and ensure you stand out to potential employers. In addition to using LinkedIn to actively recruit candidates, recruiters and hiring managers will often compare a job applicant’s resume against their profile to check for accuracy and consistency. Make sure whatever you communicate in your resume remains consistent with the information on LinkedIn. This means you’re highlighting similar skill sets, job titles, company names, and dates are consistent, and that you have a recent photograph. Recruiters will also look at your activity on LinkedIn (and social media, in some cases) to see how active you are within your industry – whether that’s in group discussions, sharing relevant content, or following companies of interest in your field. To avoid any discrepancies, make sure your resume and LinkedIn profile are closely matched and speaking to the same qualifications, job titles, and audience. The best way to get your resume in the door of an organization continues to be through a personal connection. LinkedIn is the number-one professional networking site in the world and an ideal platform for building and managing your network. It’s not just about amassing connections either. Those who get the most benefit out of LinkedIn are those who consciously build, nurture, and leverage their relationships. Looking to break into a particular company? It’s likely that someone in your network has a direct or indirect connection that – with the right introduction – could help you get in the door. Take an inventory of your network, see if there are connections that you haven’t been in touch within a while or new connections that you’d like to make, and create an outreach strategy to build and nurture those relationships. If you’ve ever done a Google search on your name, your LinkedIn profile is often the top result that appears. By having a quality profile, you’re controlling the data that’s out there about you, and ensuring that information makes it to the top of the relevant search list. Maintaining your personal brand includes taking a regular inventory of what kind of information and search results are connected to your name, and making sure your digital reputation remains in good standing. Having an active LinkedIn profile gives you a degree of influence over how hiring managers access your personal information, and the professional image you’re projecting. LinkedIn has its own exclusive job board where companies and employers can actively post openings, review resumes, and recruit top candidates based on skill set matches. While not every posting is exclusive to LinkedIn, there are over 15 million active postings on the platform, and you must have a profile in order to apply to jobs. In addition to the job board, LinkedIn groups also provide access to peer-submitted job postings from other group members. And since the groups are often structured based on geographic or industry focus, you’re more likely to find opportunities that are specific and relevant to your field. Do a search and request to join relevant groups in your industry or market. Sign up for daily and weekly group email digests that provide listings of job postings and other opportunities submitted by group members. There is a multitude of reasons to have an active LinkedIn presence that pose immense benefits to job seekers. 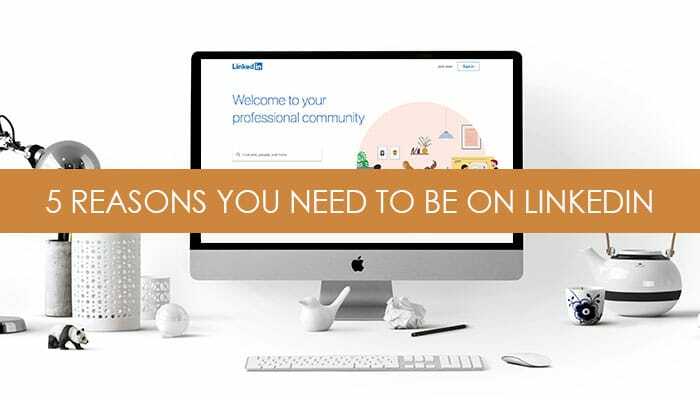 Most notably, being on LinkedIn will increase your chances of standing out to hiring managers, allow you to cultivate and leverage valuable industry connections, and provide access to key job opportunities. Ready to craft a winning profile? Contact us, and we’ll work with you to build your presence and develop a keyword-optimized profile that gets hiring managers’ attention.